Chromebooks first arrived on the scene in 2011 and are popular for being affordable, lightweight and quick to 'boot-up' laptops. 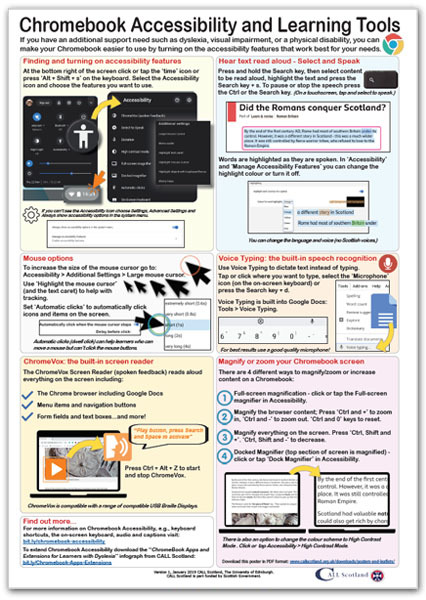 Recent accessibility updates to the Chromebook have been greatly enhanced and now include a range of built-in accessibility tools found on other devices such as Windows, Macs and iPads. Mouse options including dwell clicking.